Following an exhaustive five year investigation the Correctional Association of New York has just released a ground- breaking study of the treatment of women in New York state prisons. The report entitled Reproductive Injustice: The State of Reproductive Health Care for Women in New York State Prisons tells a distressing tale about how female prisoners are denied basic rights essential for women including substandard gynecological care and insufficient supplies of feminine hygiene products and toilet paper. Chillingly, the report describes the horrible practice of shackling pregnant women during labor, delivery, and postpartum recovery, in apparent violation of the state’s 2009 law barring such practices, as well as throwing some of these women into solitary confinement, which could have serious consequences for the mental health of the mothers and for the health of their unborn children. The Correctional Association of New York is a 170 year old non-governmental organization with the legal authority to visit New York’s prisons and report to the public and to the Legislature its findings. It is one of only two such organizations in the country. 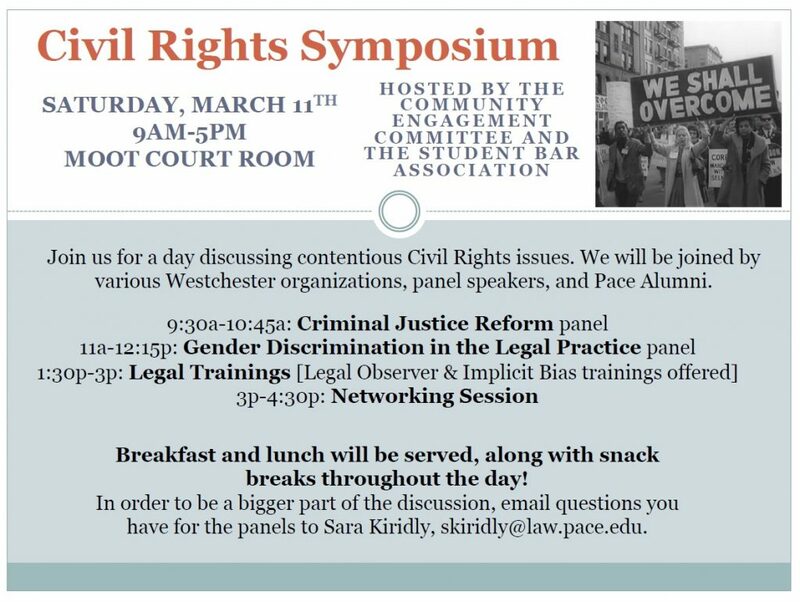 The author of this important study, Tamar Kraft-Stolar, director of the Correctional Association’s Women in Prison Project, will visit Pace Law School on April 1st to speak at a PILSO Sponsored forum open to the public and also to speak at the law school’s Prisoners’ Rights Course. More details about this event will be forthcoming.